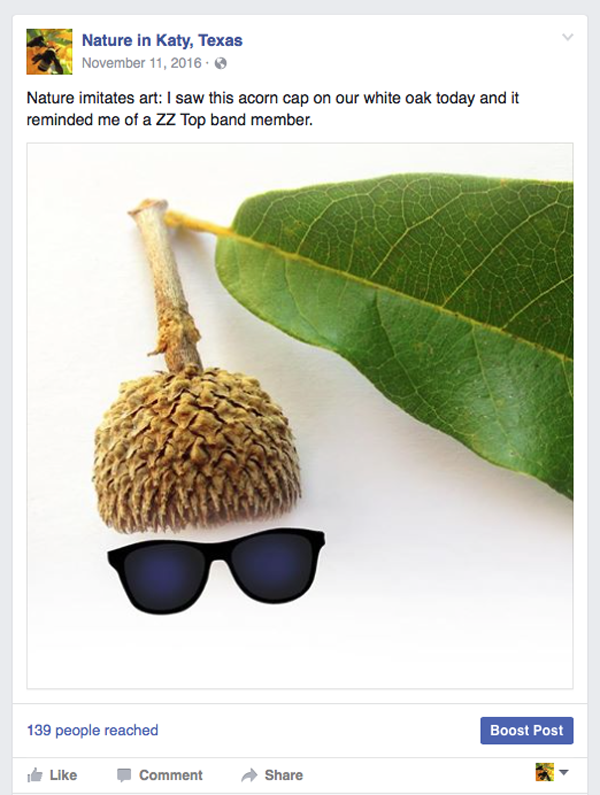 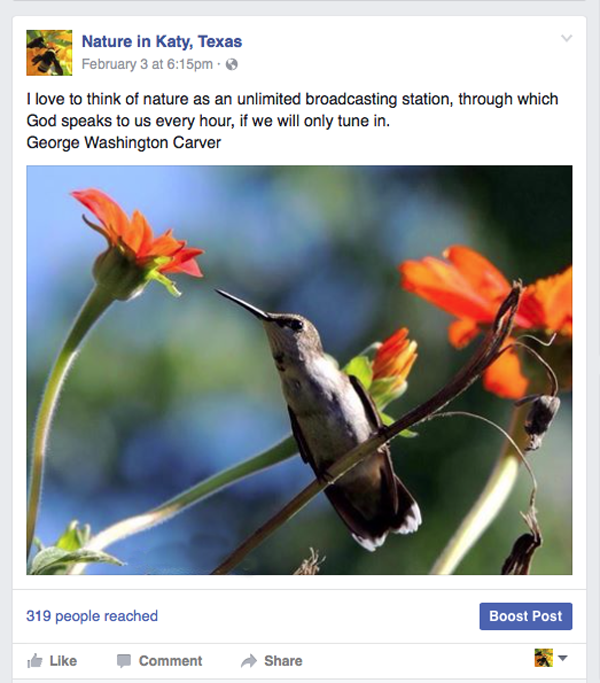 Christa Denning manages this personal Facebook page. 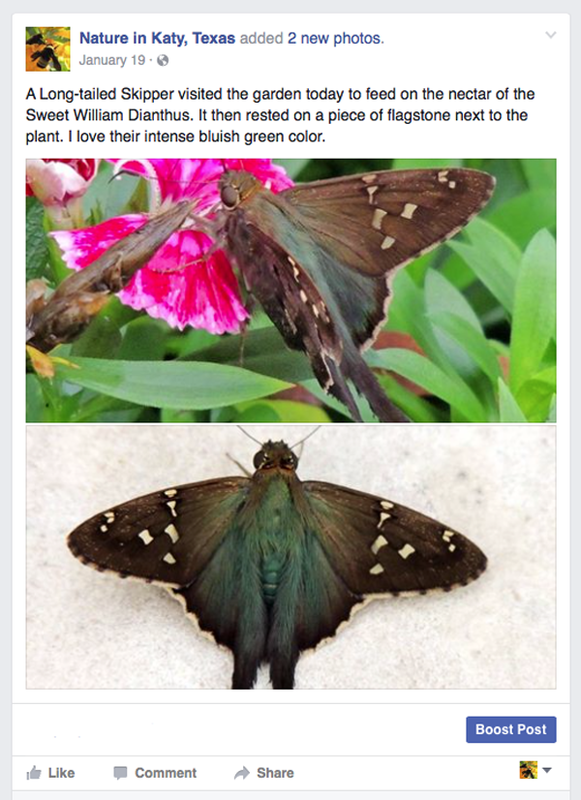 We shoot all photography and write copy that educates followers about nature in the area we live. 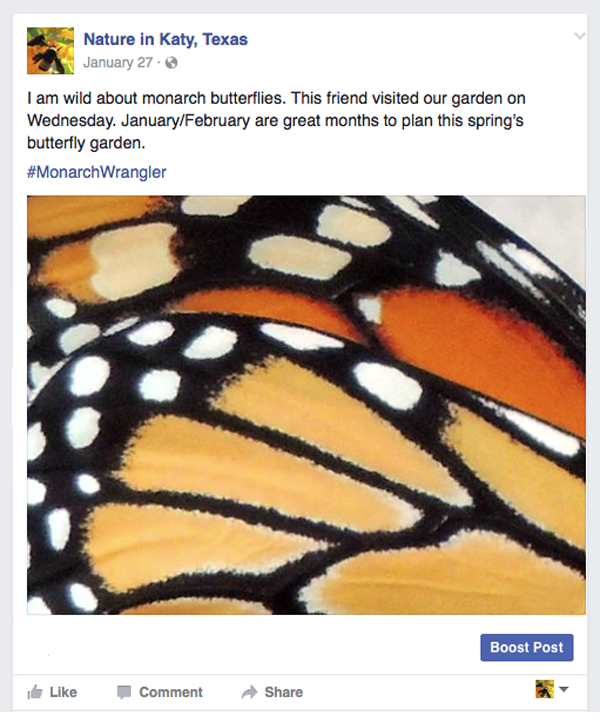 The online community is interactive, and content is posted on a regular basis. 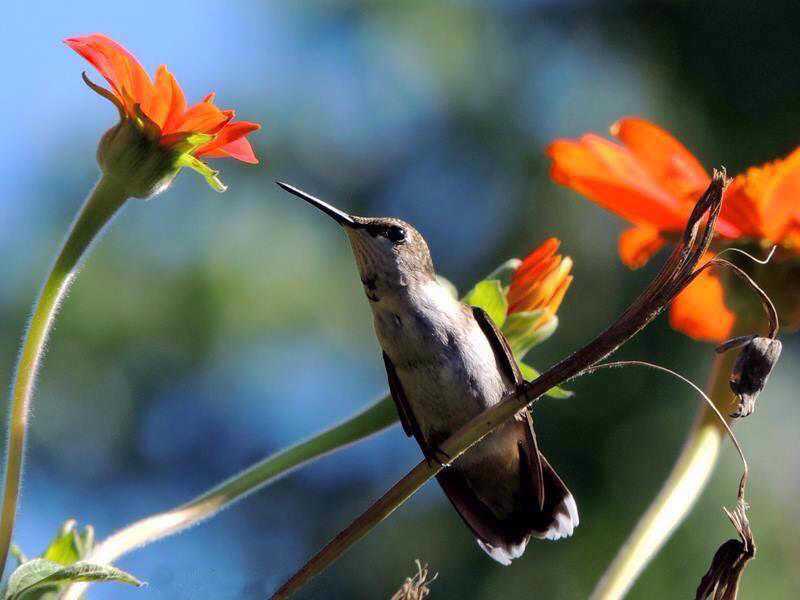 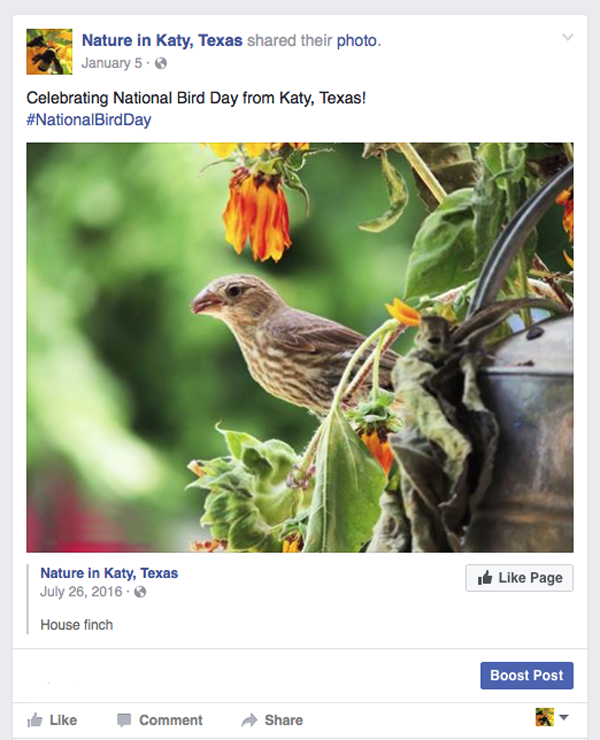 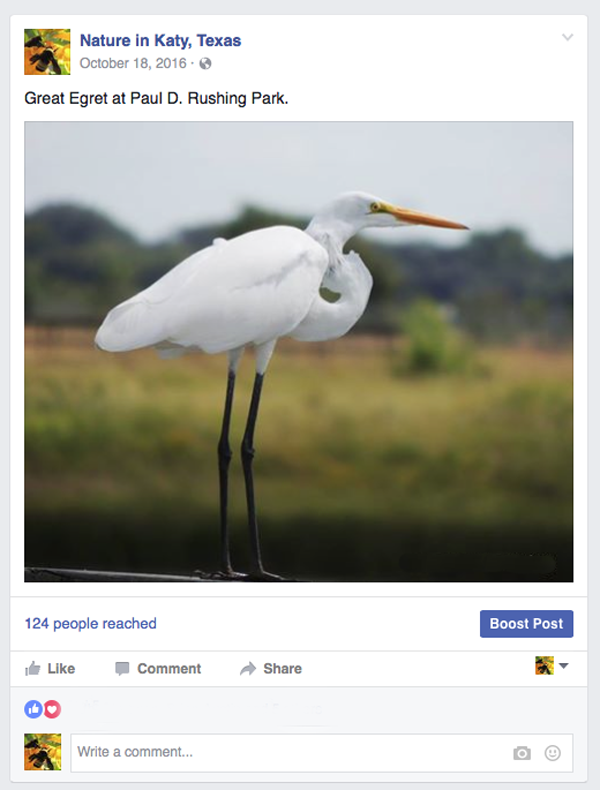 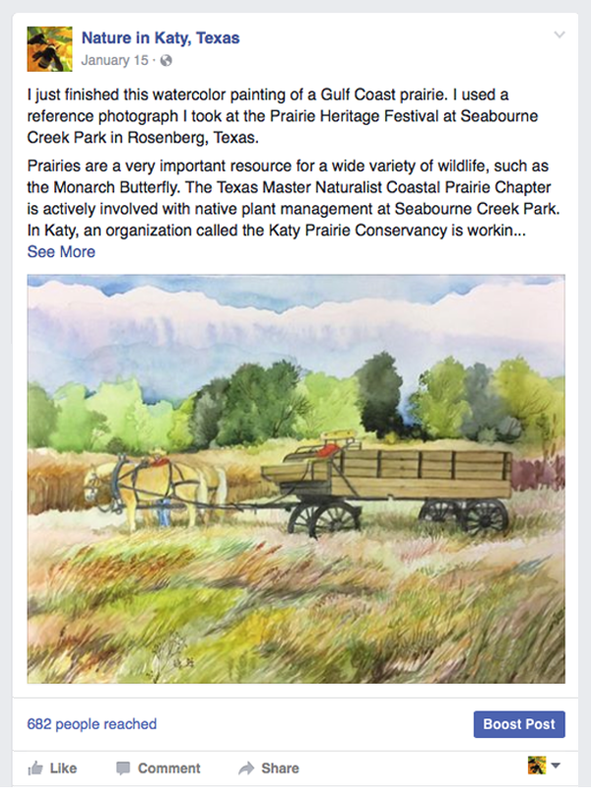 View the full scope of Nature in Katy, Texas on Facebook here.